Famous Kin of Oliver Wendell Holmes, Sr. Please Note: The family tree for Oliver Wendell Holmes, Sr. is still in progress. 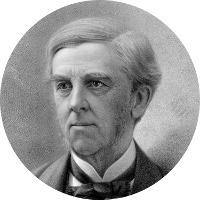 The family tree for Oliver Wendell Holmes, Sr. is still in the early stages of research. The family tree listed here should not be considered exhaustive or authoritative. Oftentimes the family trees listed as still in progress have derived from research into famous people who have a kinship to this person. Research devoted solely to this person has either not yet taken place or it is currently in progress. As with all family trees on this website, the sources for each ancestor are listed on the family group pages so that you can personally judge the reliability of the information. View Famous Kin of Oliver Wendell Holmes, Sr.